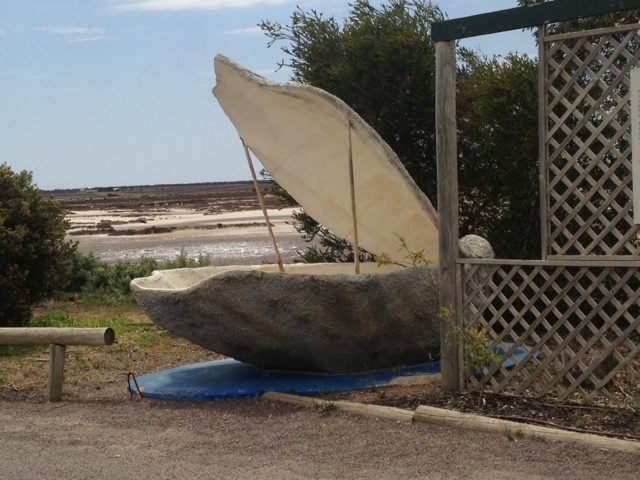 Slept in then set off for Ceduna. No decent coffee shops so pressed on to Penong after snapping the big oyster (a bitter disappointment). 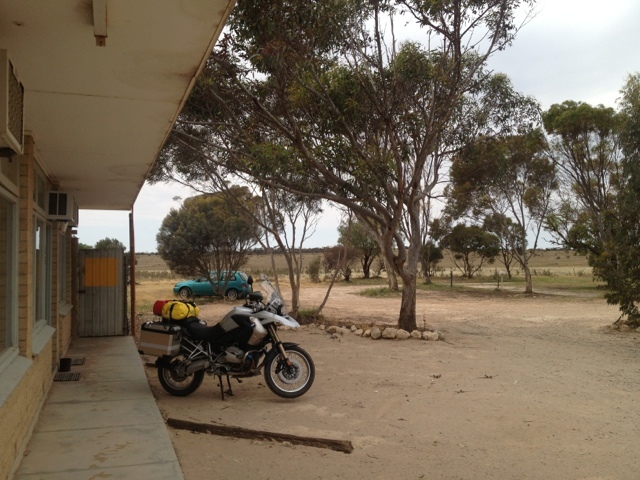 The hit northerly had turned to a cold southerly and the wind was uncomfortable so stopped on Numdaro road house for the evening. The road house is very basic and run down but is clean with a comfy enough bed. I could have pushed on to the border but storms are forecast and apparently there are whales migrating at the moment so I want to spend some time tomorrow at Head of Bight and see if I can spot them. How exciting apparently there were at least 40 spotted today.